UNC has racked up 14 wins against Quadrant 1. We’re entering the heart of championship week with No. 1 seeds and final at-large bids still on the table. Thirteen automatic bids have now been handed out, so congratulations to: Lipscomb (A-Sun), Michigan (Big Ten), Radford (Big South), Charleston (CAA), Wright State (Horizon), Iona (MAAC), Loyola Chicago (MVC), LIU Brooklyn (NEC), Murray State (OVC), Bucknell (Patriot), UNC Greensboro (SoCon), South Dakota State (Summit), and Gonzaga (WCC). Before we hit the bracket, here are some quick reminders. The bracket holds 32 automatic bids for conference champions (noted with italics), and the remaining 36 are at-large selections. 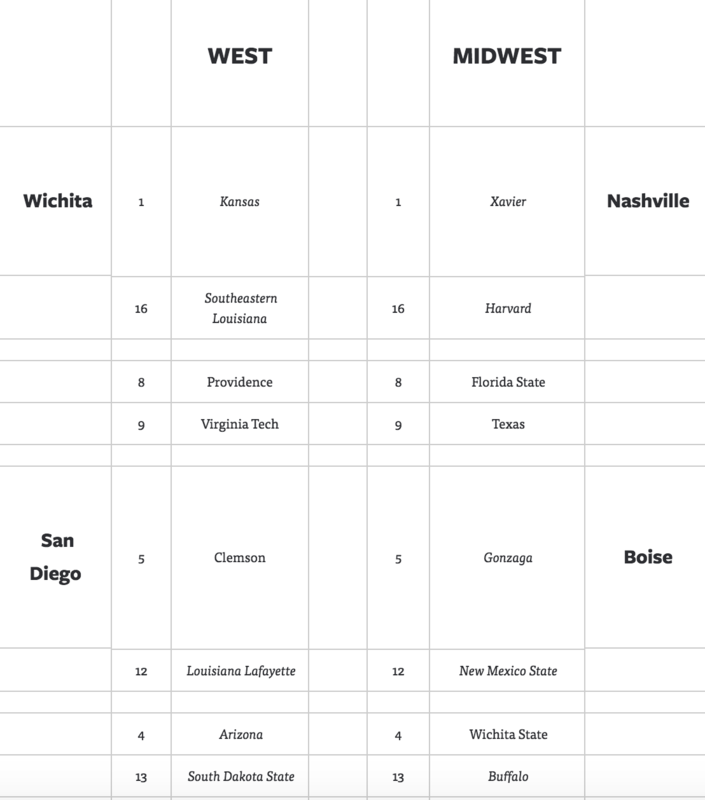 For conference tournaments that have not yet concluded, the highest remaining seed has been entered as the champion. Automatic qualifiers, whether official or projected, are in italics. **We have our first bid stealer! San Diego State upset Nevada on Friday, turning the Mountain West into a two-bid league. The Wolf Pack are still easily in the field as a No. 7 seed while New Mexico enters the fray as a No. 14 seed in the East. The Lobos’ victory took away a bubble spot, sending Arizona from First Four to first team out. 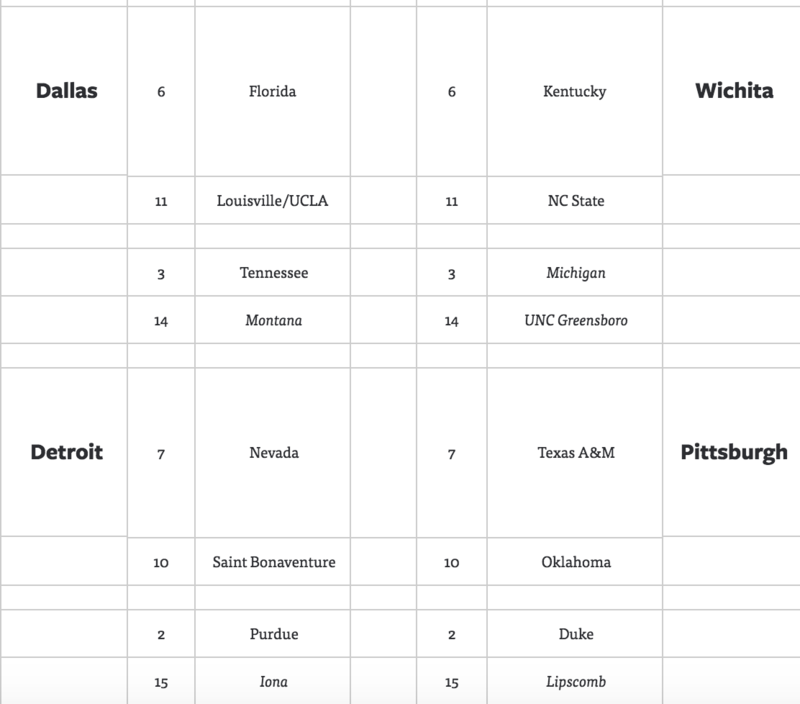 **I’ve gone back and forth between Louisville and Arizona State for that final spot, and in the end I settled with Louisville because of the Cardinals’ RPI ranking (No. 39) compared to Arizona State’s (No. 64). 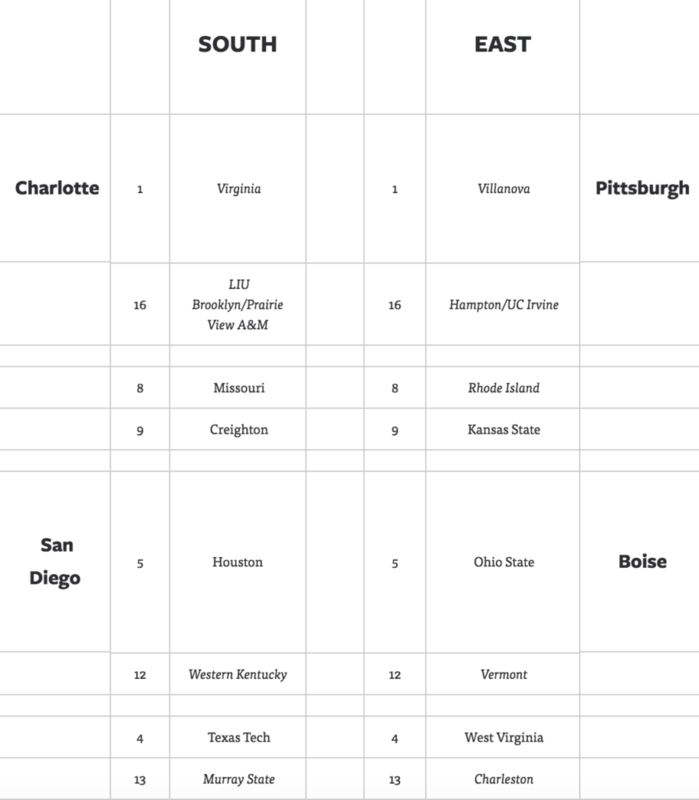 Even though the committee says RPI is used mainly as a sorting tool, a high-major school with a top 40 RPI has never been left out of the field. **The biggest benefactor of San Diego State’s win over Nevada — aside from the winner of Saturday’s championship between SDSU and New Mexico — is Loyola Chicago (11 seed, East). The Ramblers had been stuck on a No. 12 seed for weeks despite owning a Top 25 RPI, but New Mexico’s entry as a No. 14 seed pushed all the No. 12’s and No. 13’s up one spot on the true seed list. Loyola, previously the top 12 seed, thus moved up to a No. 11. The Ramblers not only get a theoretically more favorable matchup, but they also don’t have to get sent out West to play in Boise or San Diego. 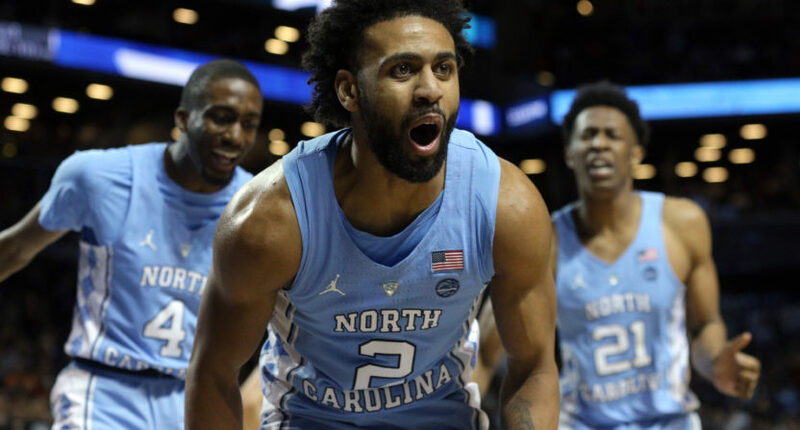 **North Carolina held off Duke in the ACC semifinals to secure a No. 2 seed and geographic preference in Charlotte. The Tar Heels are now 14-7 against Quadrant 1. For perspective, Kansas and Villanova are the only other teams with double-digit Q1 wins, and they each have only 11. If the Heels can upset Virginia in the ACC title game, they’ll have an interesting case for a No. 1 seed. There has never been a No. 1 seed with nine losses, and if UNC beats Virginia it’ll take a 26-9 record into Selection Sunday against the toughest schedule in the nation. Were Kansas to lose to West Virginia in the Big 12 title game, I think UNC has a strong case to get the final No. 1 seed instead of the Jayhawks. Kansas would have eight losses, which would still be a No. 1 seed record, and the Jayhawks have fewer quality wins and more bad losses. 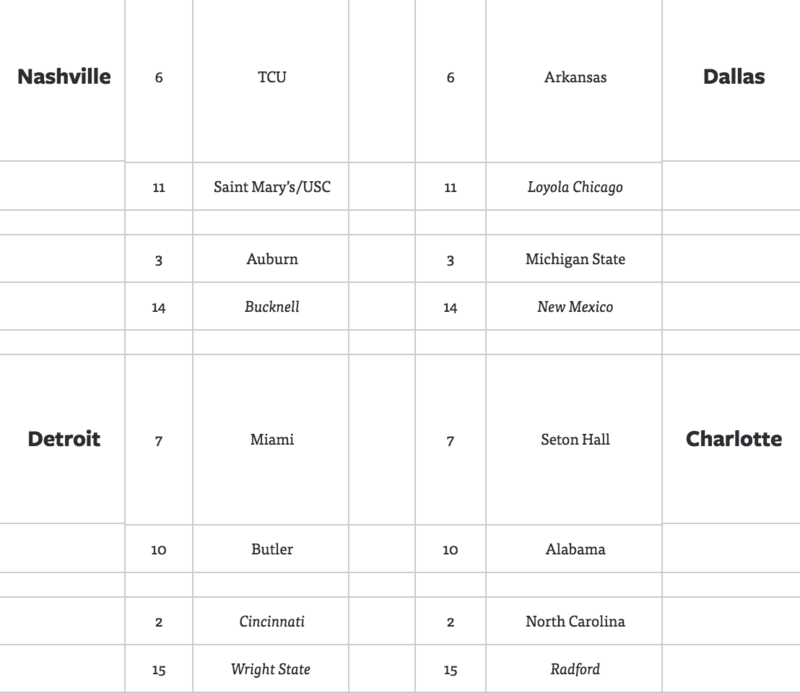 **Two conferences are still alive for bid stealing: the AAC (Memphis) and the Atlantic 10 (Davidson and Saint Joseph’s). Memphis will be a heavy underdog in Saturday’s AAC semifinal against Cincinnati, and Saint Joe’s will be a sizable underdog as well against Rhode Island in the A-10 semis. But Davidson is actually favored against Saint Bonaventure in the other A-10 semifinal. **USC (No. 11 seed, First Four) is the only bubble team still playing ball, but the Trojans will be safely in the field no matter what happens in Saturday’s Pac-12 title game against Arizona. Alabama (No. 10 seed, East) and Providence (No. 8 seed, West) had been on the bubble until huge wins on Friday put them in comfortable shape.